Isiah Factor | The Insite » JAMES PRINCE ACCUSED OF WHAT? JAMES PRINCE ACCUSED OF WHAT? 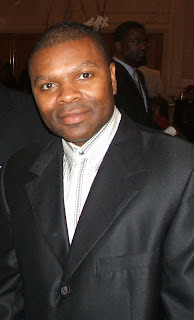 April 12, 2007 | Posted in Uncategorized | Comments Off on JAMES PRINCE ACCUSED OF WHAT? JAMES PRINCE VERSUS RONNIE BOOKMAN IN A COURT OF LAW! Here’s the press release the Insite received Thursday morning. James Prince’s reps say they will respond by the end of the day! HOUSTON – In a lawsuit filed today in Harris County state district court, Ronald “Ronnie” Bookman (in sunshade glasses below) owner of 7303 Records and Studio 7303 claims he was savagely beaten in an assault ordered by competitor James Prince. Bookman alleges his beating was part of an ongoing effort by Mr. Prince and his Rap-A-Lot 2K Records, Inc. to snuff out Bookman’s fledgling record label. According to the lawsuit, Mr. Prince a/k/a J. Prince directed a half-dozen of his associates to attack Bookman at a Houston recreation center owned by Prince. The alleged beating took place on Jan. 25, 2007. Bookman says he was lured to the gym after he was advised that Prince wanted to “make things right” regarding a dispute between the two men. When Bookman arrived at the gym, he says he was led to a weight room where he met with Prince. The lawsuit says that Prince became angry with Bookman and directed the men to enter the room and assault Bookman. Bookman suffered severe head trauma, a broken nose and injuries to both eyes. He was treated the next day at the Park Plaza Hospital emergency room and is still receiving treatment for his injuries. The dispute arose out of a common industry practice in which artists, otherwise bound by exclusivity arrangements with their record companies, make guest appearances or “features” on other artists’ records. Consistent with this practice, several well-known artists including Bernard Freeman (a/k/a “Bun B”), Mike Jones and Stayve Thomas (a/k/a “Slim Thug”) had in 2005 agreed to record on 7303 Records’ first release, by the artist Javon “JV” Daniels, entitled, Rap or Die. According to the lawsuit, Prince and Rap-A-Lot Records had agreed to allow Bun B to record the feature Wrong for Dat and assign all rights to 7303 Records in exchange for substantially discounted or free studio time at Bookman’s recording studio. Bun B recorded his CD, Trill at Studio 7303 from June to September 2005. In late 2005, Rap-A-Lot, in conjunction with Warner Brothers’ Asylum Records, released Trill. Trill has since earned gold record status. The lawsuit alleges that Prince and Rap-A-Lot Records reneged on their promise to release the Bun B feature after Warner Brothers approached Bookman with a proposed “label deal” to develop, record and promote rap and hip hop artists. “We believe that Mr. Prince feared that his influence and financial well-being would suffer if Mr. Bookman and 7303 Records were successful,” says Thomas. Ultimately, Warner Brothers would not proceed with the distribution and marketing of JV’s CD without the Bun B artist release. 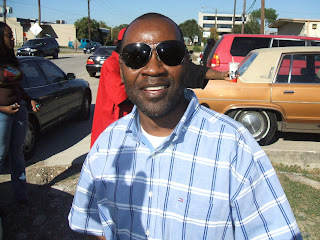 Mr. Bookman is a longtime fixture of the Houston music scene, and has operated Studio 7303 for five years. Studio 7303’s clients represent a Who’s Who of the music industry, including top-selling artists such as 50 Cent, Timbaland, Justin Timberlake and Missy Elliot. The lawsuit alleges breach of contract, battery, unfair competition, duress, conspiracy and unjust enrichment. Bookman is also seeking a court order barring Prince and his business associates of coming within 500 feet of his home and business. The Insite has been told told by the staff of Rapalot there will soon be a response!